The FTD Our Hearts Speak to You Red Cross is a beautiful addition to their final farewell service. 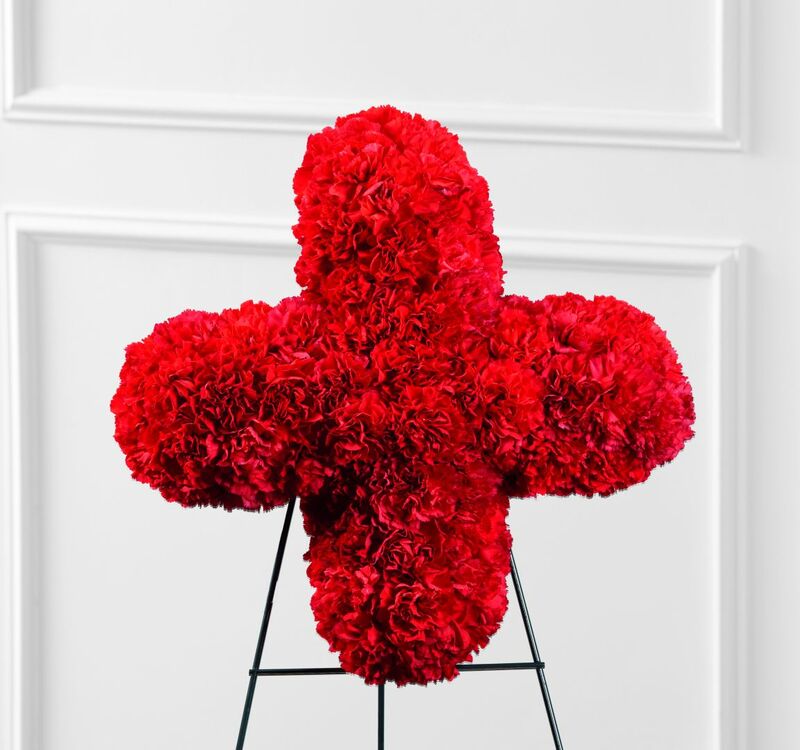 Rich red carnations are brought together to form the Red Cross symbol, displaying the departed's devotion to the cause or commemorating how the Red Cross helped them in their time of need. Displayed on a wire easel.